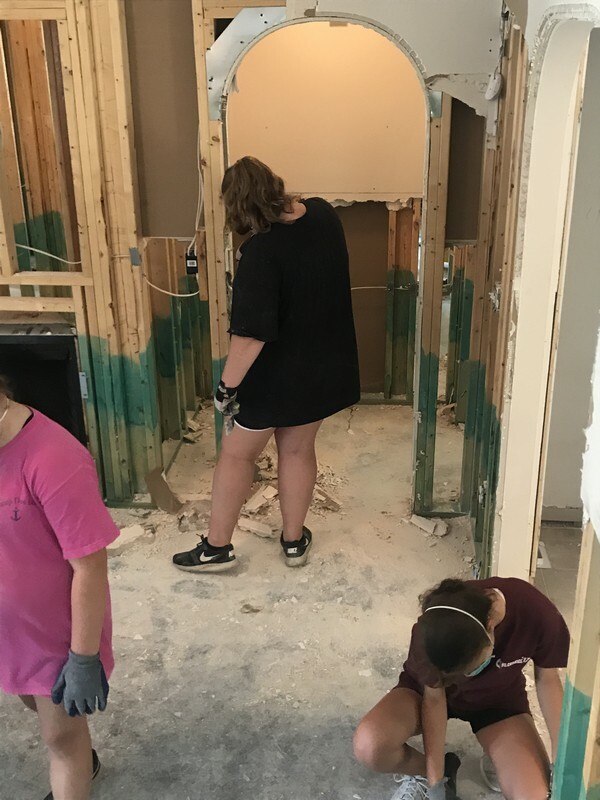 We currently serving in the Jacksonville & Richlands, NC area, helping folks rebuild from Hurricane Florence that hit the area in September. 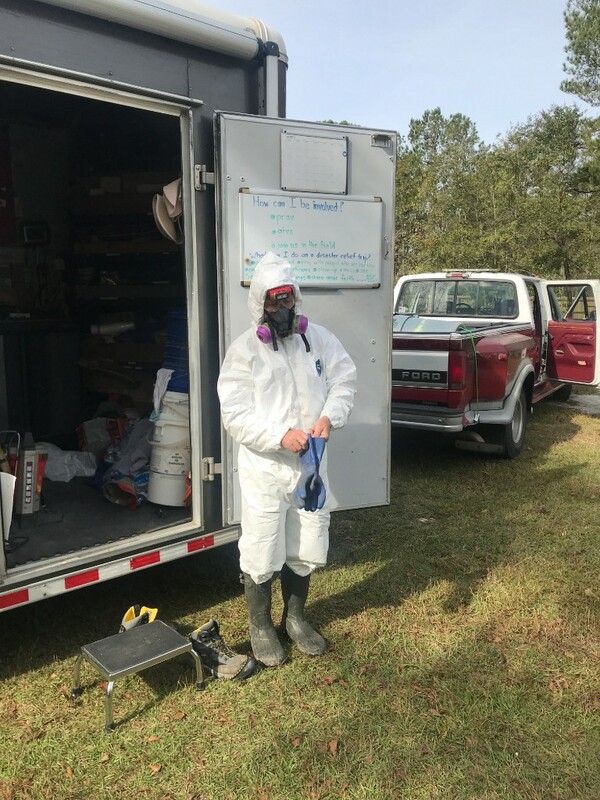 Click here for a video of Camp Calvary Relief! Elizabeth lost her husband, a disabled vet, 11 months ago. She had no flood insurance and we're helping her get back in her home. Elizabeth is always busy working on her home. 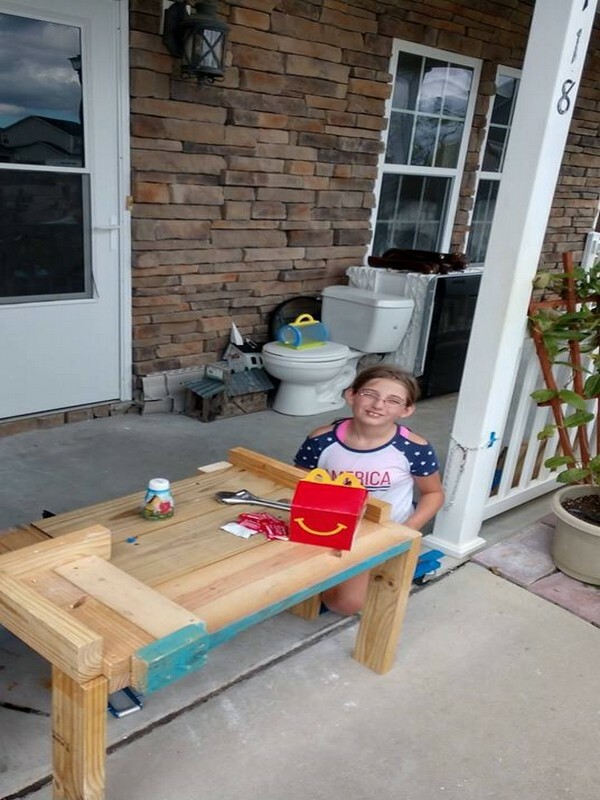 Daughter Christine, with our help, built a table for a Nail Salon and is hoping her friends will let her do their nails so she can give the money to her mom for their home! Bobby & Marcie's property has been in Bobby's family for several generations and their children were born in this house. Bobby loves to help out and is always getting us to pray with him! Both of them have some serious health issues and Marcie can't be around their home for more than a brief visit. Their insurance company is giving them the run around and they just want to get back home. 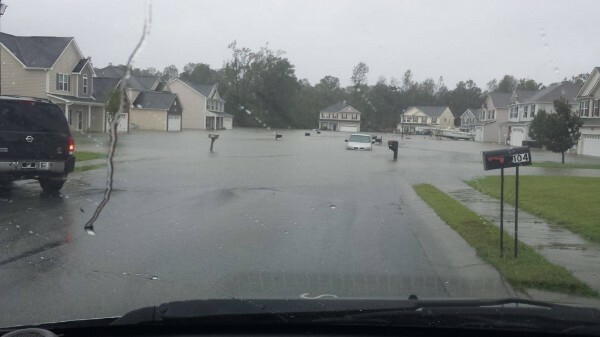 Jim & Carole are in their mid-70's and didn't have flood insurance. 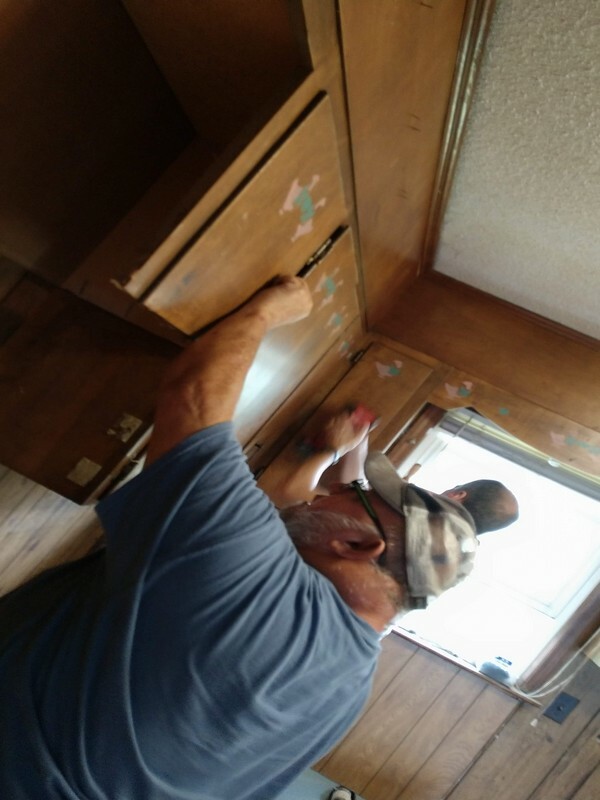 Jim helps us everyday we're at his home, but Carole's health isn't good, so she stays with her son in Raleigh. Bless You Inc has provided a trailer for them to live in on their property. 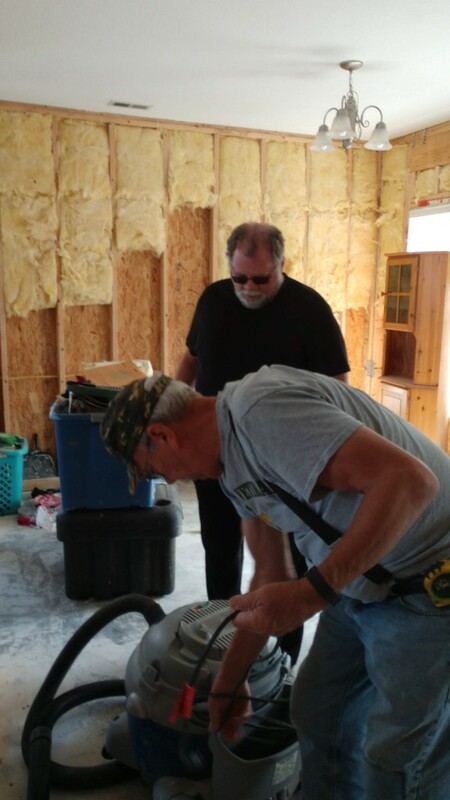 Their home has been insulated, but we need more servants to move forward. The next step is drywall and plumbing. They are out of funds and are considering getting a loan, which is not a good situation to be in at their age. There is still plenty of work to be done here. There are a few more homes that I'll be spraying and then working on rebuilding seven homes! Most importantly we continue to let people know that Jesus loves them and hasn't forgotten all that they have been going through. We'll be here until The LORD moves us on. Please keep us and those whose lives Jesus is touching in your prayers. If you can join us, click here. If you can help support us, click here. What we do is rarely easy, but we press on for we know The Lord has called us to Calvary Relief. There are many different facets involved in what we do, with discipleship being the main focus of our ministry. 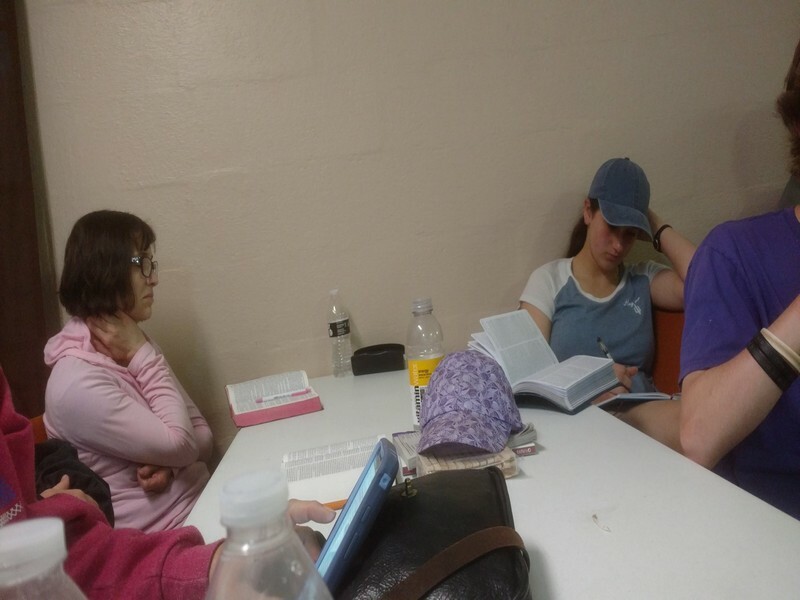 Daily we get into God's Word, allowing it to penetrate our lives and show us how to become more like Christ, and then we share Him with all those around us! 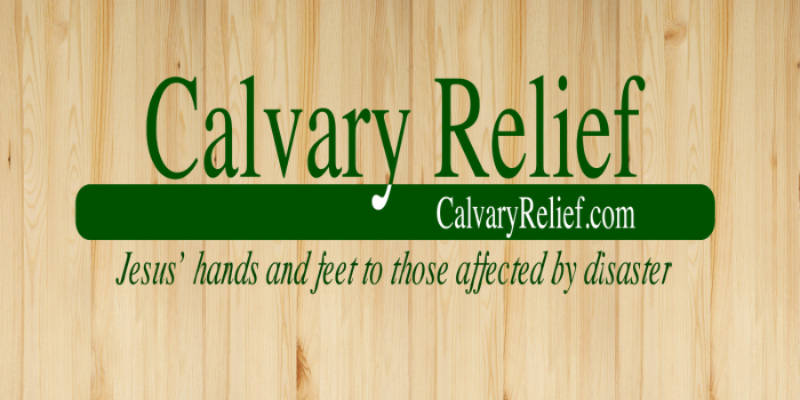 For more info please see our website, CalvaryRelief.com or just click here. Copyright © 2018 Calvary Relief All rights reserved.